Hope you all have a great week. 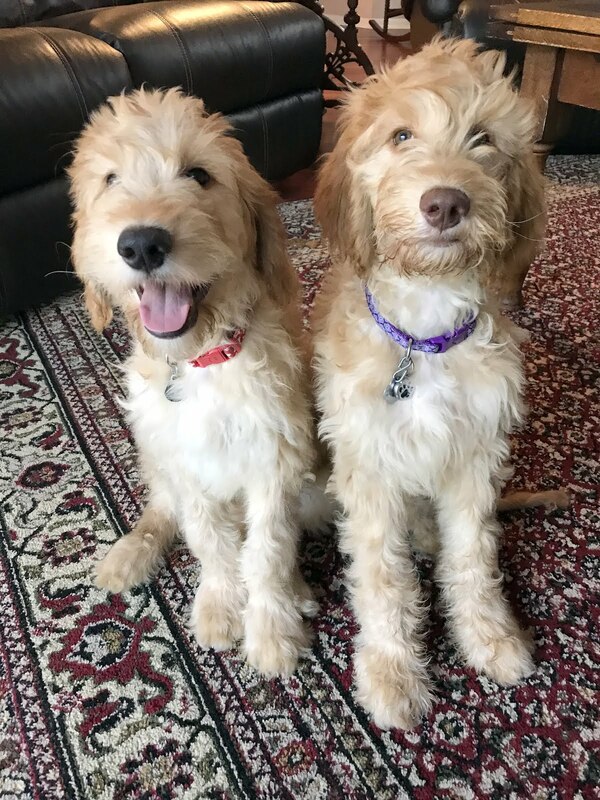 Both Buddy and Hank are adorable and neither could be cuter! A definite Sunday Smile indeed! Is there anything cuter than a boy and his dog??? Looks like Hank and Little Buddy have a mutual admiration society going. Hope you have a good week. Nothing sweeter than a boy and his dog! Perfect cuddle bunnies. A boy and his dog. Precious! A beautiful Sunday smile, a lifelong friendship for them both. Adorable boy and his dog. Hank almost has same color of hair as your last dog. Love the curliness of the hair too. Thanks for helping me smile in my weariness of my cold bug. More tired than any other symptoms. Sigh! Happy weekend and a good week ahead! A beautiful Sunday Smile here thanks to Little Buddy and Hank! So you've got a Wookiee and a Woogie! What a beautiful pair. Nice way to start the week. Looks like Little Buddy has found his very own little buddy. ;-) Now that's perfection. So sweet. They are wearing matching outfits! Just look at those two - so cute together!!! Fast friends already! It looks as though the two of them are already inseparable. Just the way as it should be. Thank you for the smiles today. Little Buddy just gets more adorable.